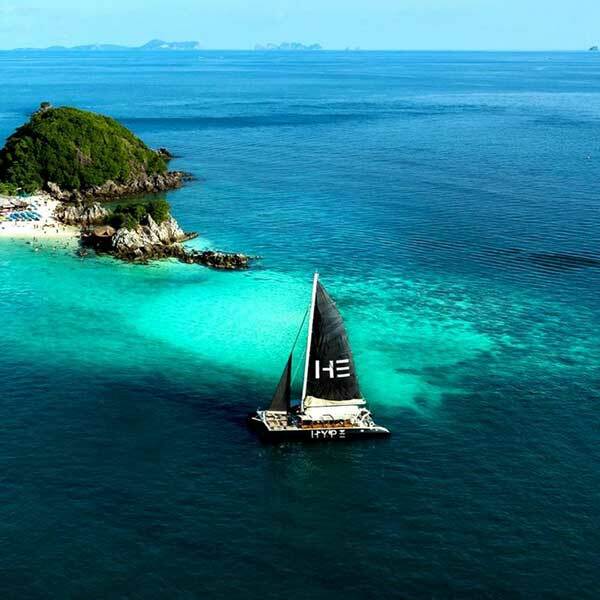 Full day sailing catamaran Maiton island. 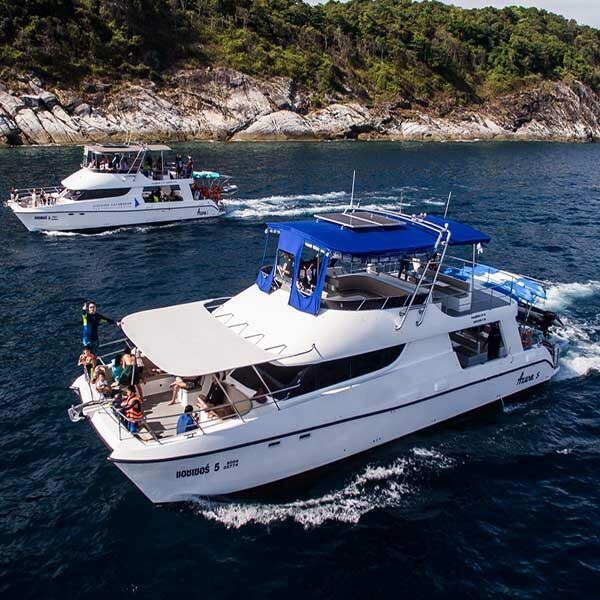 Unlike our other sunset Catamaran cruise to Maiton & Racha islands, this Full day sailing catamaran Maiton island tour actually takes you on to Maiton island. Maiton island is one of the most beautiful islands not yet tarnished by over tourism, and a really peaceful place to visit. This is another one of our premium catamaran tours but this is a sailing catamaran unlike the others that are motor catamarans. When you arrive at Maiton island after a relaxing and very comfortable cruise, you get get in to some snorkeling and have a swim and cool down. Most of the time on this amazing trip, you are lucky to see the wild dolphins that live in the area which is lovely. 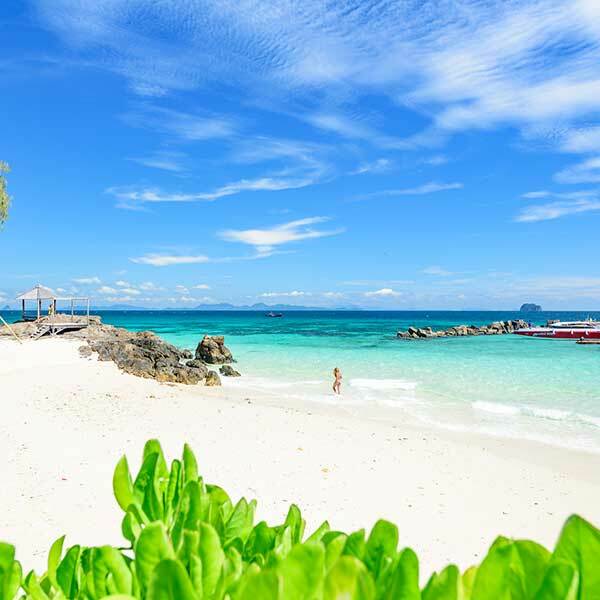 A delicious Thai style buffet lunch is served on Maiton island and when your food has settled, you get time to do some more snorkeling, swimming and relaxing on the beach. On the sail back to Phuket enjoy a range of seasonal fresh fruits, snacks and drinks to round out the day. 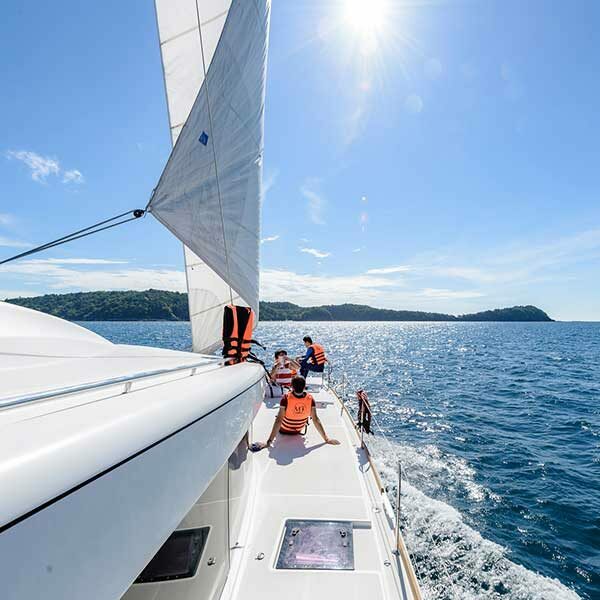 This Full day sailing catamaran Maiton island tour is one you should treat yourself to. 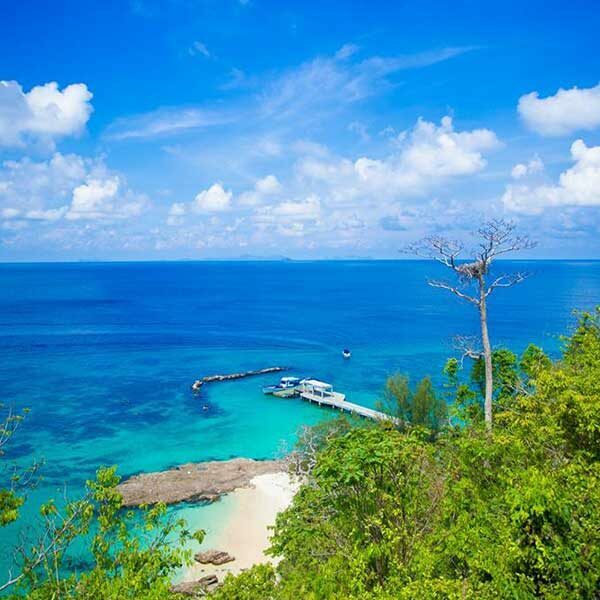 09.00 Arrive at “Dolphin Pier at Panwa”, Start the luxury day by catamaran, enjoy sea breeze of Andaman Ocean. Now it’s time to take some nice picture on the luxury yacht, you can also grab a cool drink and laying on the trampoline to relax and enjoy sunshine. 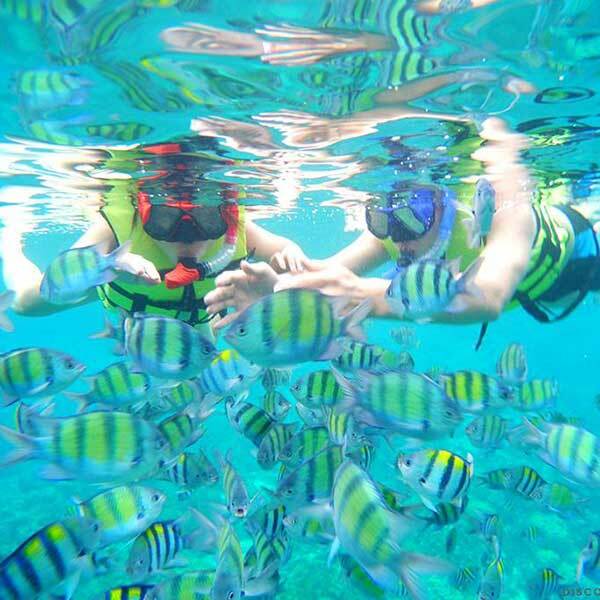 11.30 Arrive at Maiton Island, also call “Honeymoon Island” Enjoy snorkeling. 12.00 Thai Buffet lunch is ready to be served on Maiton island. 12.00 – 14.45 Enjoy your free time relax on the white sandy beach, swimming, snorkeling or walk to go see the view point of Maiton Island. 15.00 Welcome you back to cruising with seasonal fresh fruit and snacks, Leave Maithon Island, sail back to Panwa. Enjoy the scenery of Lon Island and Panwa Bay. 15.30 Arrive at the pier (Panwa), Transfer back to your hotel.